Do we really make an itinerary to visit Venice? The first time you find yourself in the heart of the narrow streets, it is not useful to try to identify themselves: it is impossible ! Let your guided by your instinct, by some panels, or the flow of tourists to find the great unavoidable, but feel free from random of an alley, put you in a campo suddenly desert or at the edge of a canal, where a gondola glides ... that is why the program proposed below is indicative, the more you Deviations better! Go to Venice less than three days a major risk: leave frustrated to have seen so little! The Serene is more dense than many imagine ... one week not seem too much to learn a little bit in the city and its lifestyle. Three days, a great weekend, is a minimum to plunge into the atmosphere. As for accommodation, it is very likely that you are obligated to pay your rather expensive hotel room, except in low seasons or reduction ... the youth hostel dormitories are quickly filled ... then left to pay expensive, so take advantage of a good situation! Please for your hotel position, so that once there, half of the three days is not passed back! 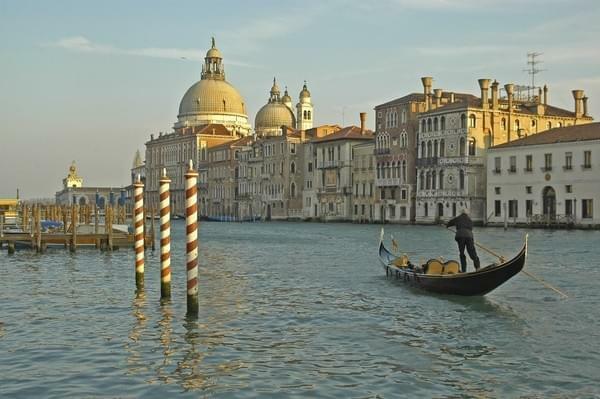 Hard to miss out on the great Venetian essential from day one: it is the only true landmarks that you will ! Follow the crowd, and here you are on the Piazza San Marco , monumental. A good part of the day takes place there between visiting the Doge's Palace , Basilica San Marco and just this unique setting. Then you lose Go through streets and squares, ask yourself terrace, visit a church or two (they are innumerable), enjoy a pizza ... As an aperitif, enjoy a < strong> Spritz , a local specialty. Visit the St. Mark's Square in the early hours before the crowd of visitors. Then join the deck of the Rialto , on which one does not linger more than that, then take at least once a vaporetto on the Grand Canal . Then, two major cultural institutions of Venice on the agenda, the Academy Museum and Gugghenheim to concentrate masterpieces art. Finish the day at your own pace, in various areas of Venice. After dinner, do not miss a night ride in Venice. Quit one time the heart of the Serenissima, and embark on the island of San Giorgio Maggiore , where you can easily spend a half day. Later, several choices Island Murano is particularly frequented by tourists eager glass souvenir, but a round the side of the Ghetto neighborhood remains outside of large crowds, will offer a different charm ... is to taste! Among the churches, museums, palaces and the lagoon islands, you will of something to do a few more days ... feel free to linger Venice !